You can be forgiven if you think Powder was a part of the British invasion, as there's no doubt they wished they'd been. Instead, they were a four-piece band from San Mateo, California that managed to pound out a freakbeat sound echoing The Who and The Creation. The band covered a lot of Who tracks, and their originals were definitely mod. The sound was pure sixties power pop with some folk and country overtones spread through some of the tracks, similar to some of the things Mike Nesmith and The Monkees were doing at the same time. Here is their take on one of the most covered of Who songs, "So Sad About Us" which Powder does justice, and the best of their own tracks, "Gladly". 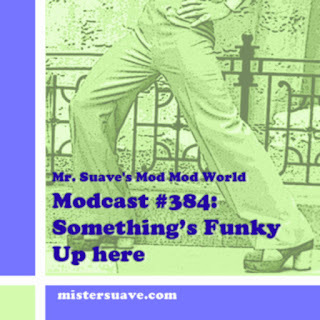 Mod-A-Day: "The Mod Sound -- Modest Proposal"